Camp Lake Andes Group Photo is something you should read. Company 1776 was originally from Iowa and was composed of War Veterans. 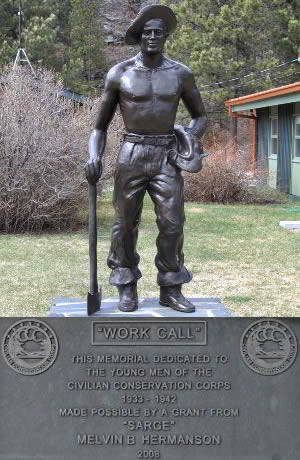 This is believed to be the first Civilian Conservation Corps company to work at the Lake Andes South Dakota camp. The original photo was donated to the CCC Museum of South Dakota by Martin Buck after visiting the Museum website. This particular company was not listed in Museum records prior to this donation. Research has uncovered the name of the commanding officer, Capt. Herman J. Crigger.